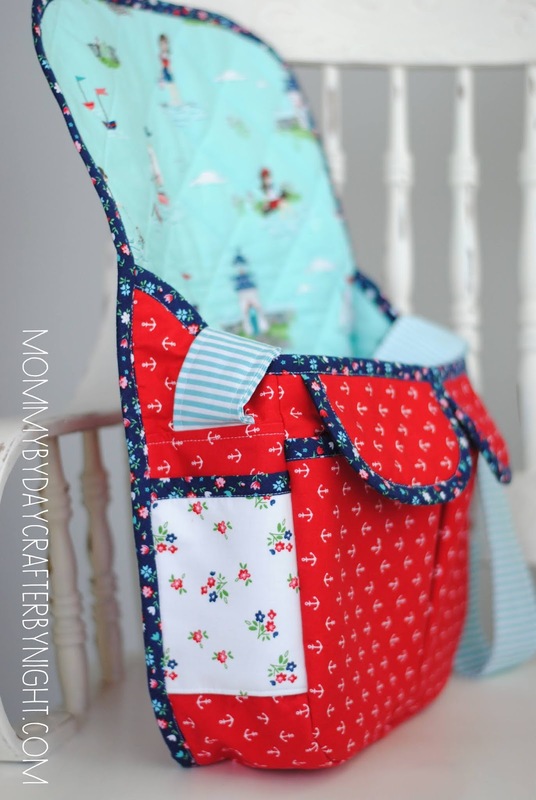 I love a good sew-along and I have found some fun ones this year on Instagram! 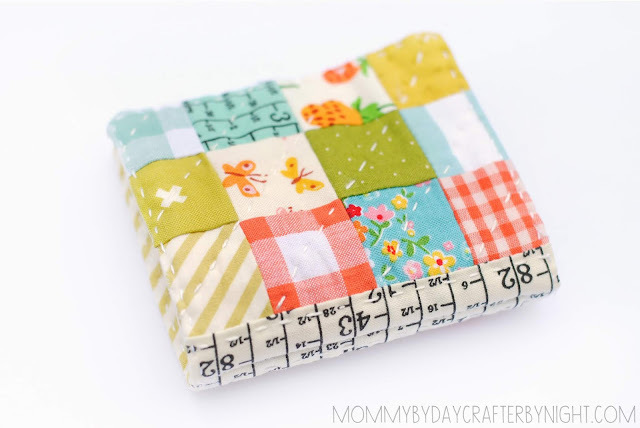 Last month my friend Mary (Molly Flanders Blog and Sunny Day Supply Shop) held a needle book sew-along and it was so much fun. 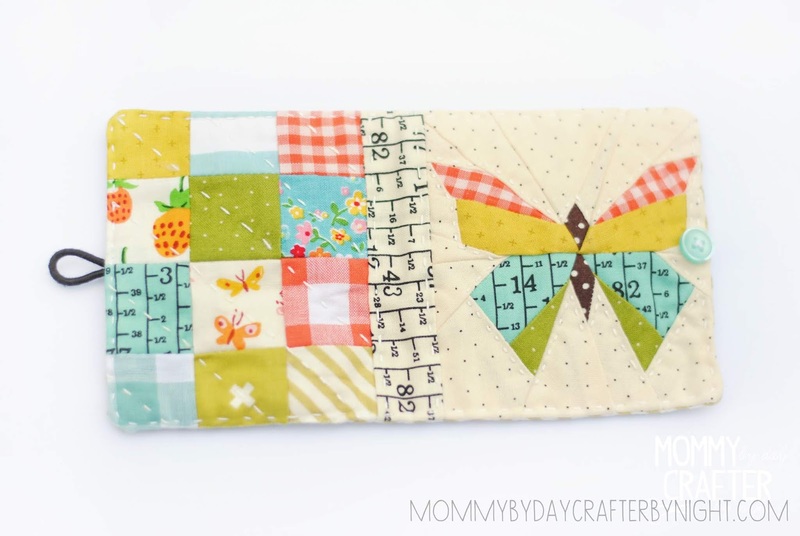 I have been needing a needle book, so I was happy to have incentive to make one! 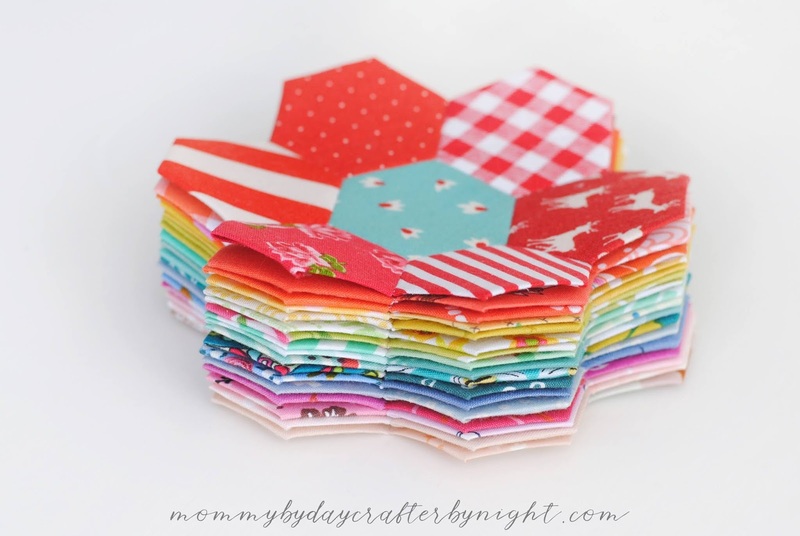 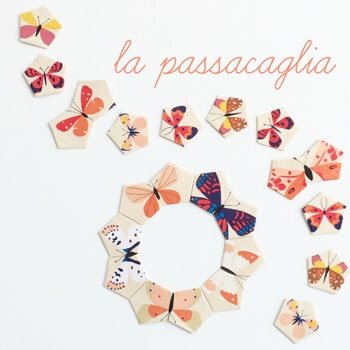 I used the free Butterfly Charm Block Paper Piecing Pattern by Lily Ella to make the butterfly for the front and then followed Amy of nanaCompany's needle book tutorial to make the needle book. 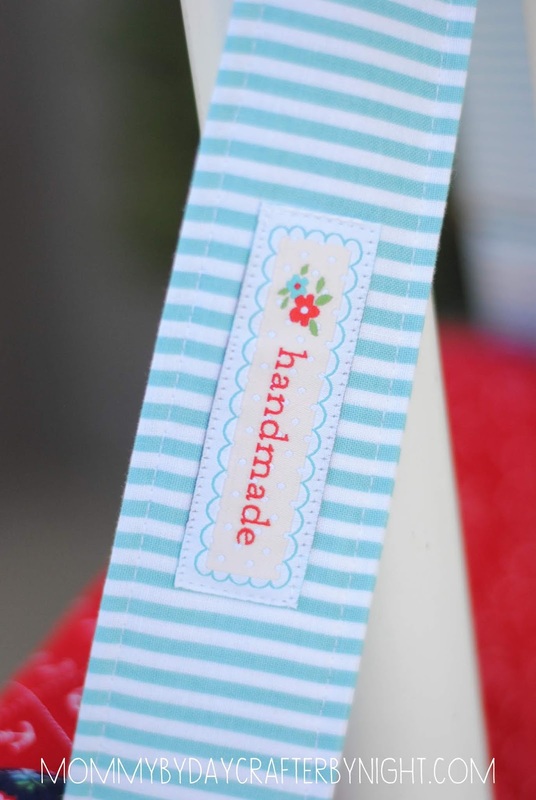 It was a fun little make! 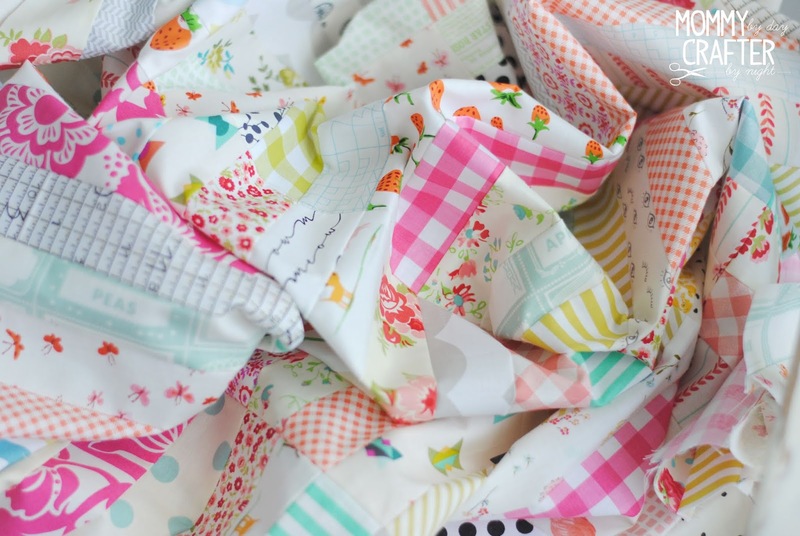 Do you like Sew-A-Longs? 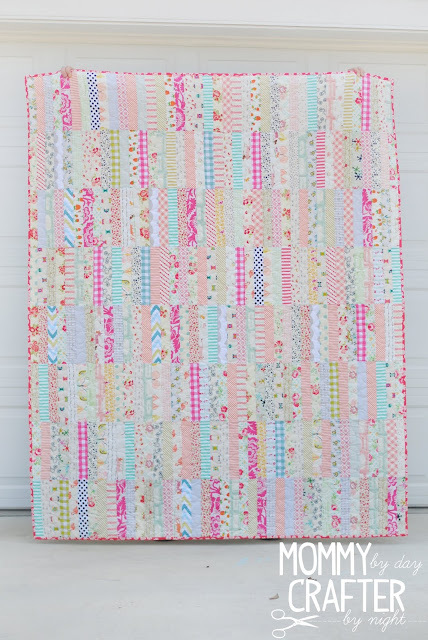 The very first one that I participated in was the Scrappy Trip Along back in 2011. 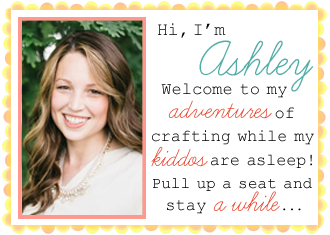 This year I also jumped on the #mushroomsewalong bandwagon and will share what I made soon! 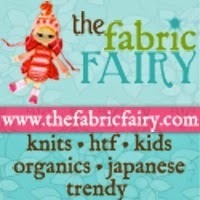 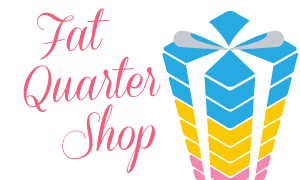 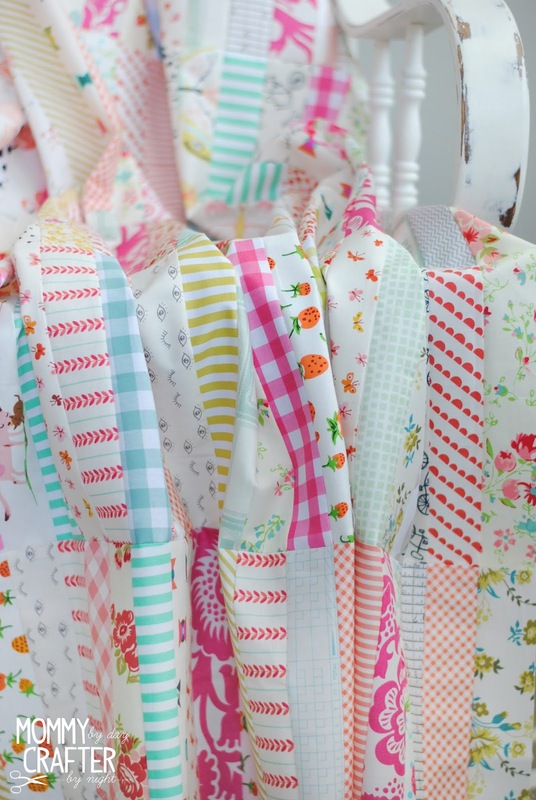 There is also Farmers Wife Sew-Along just starting up and I am so tempted! 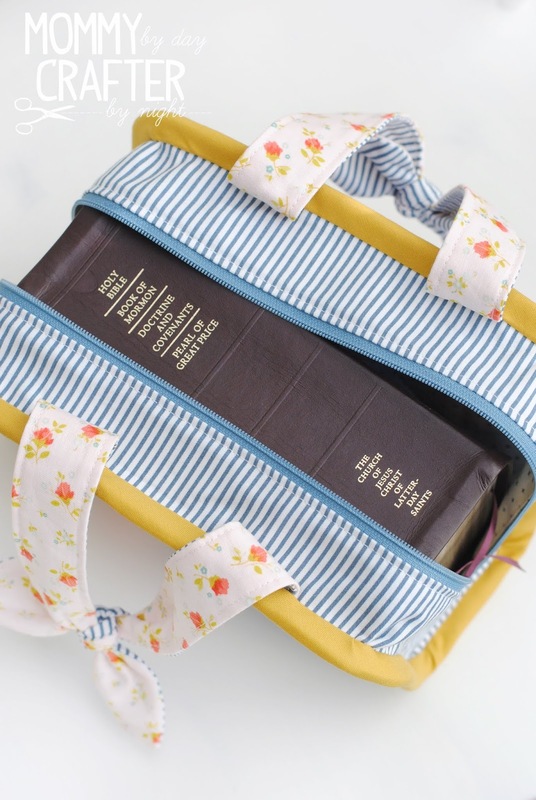 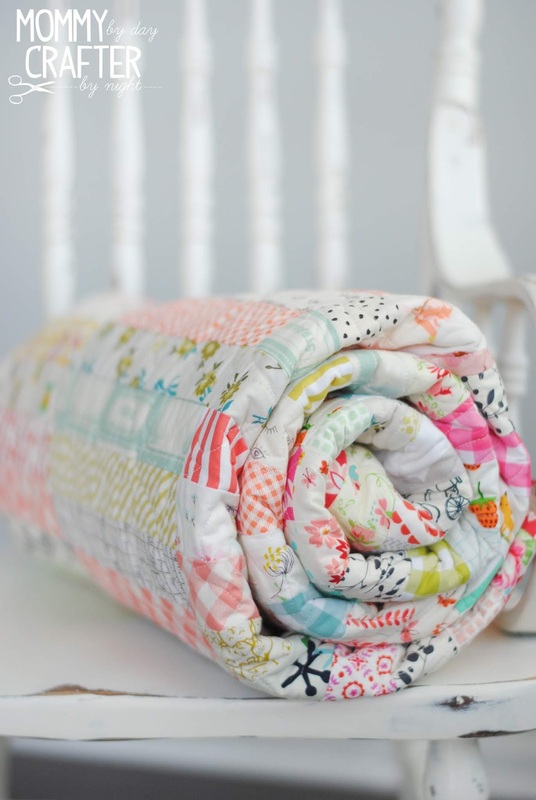 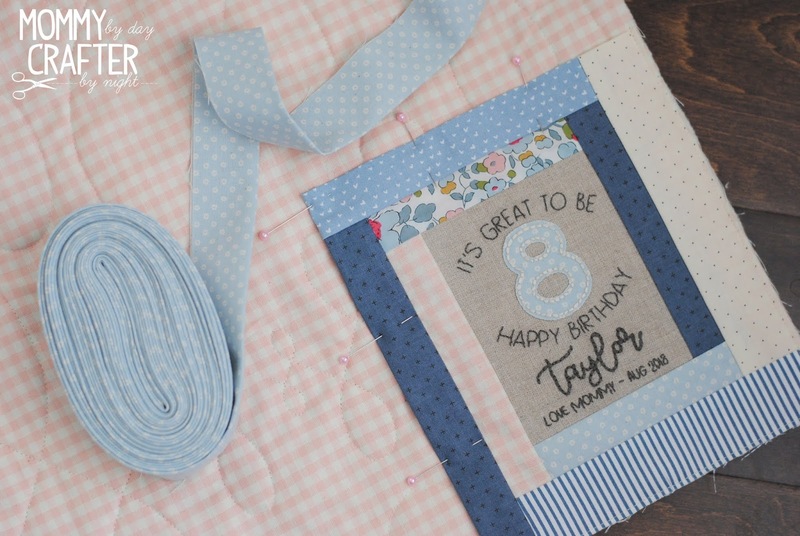 When it comes to darling fabric, Tasha Noel knocks it out of the park every time. 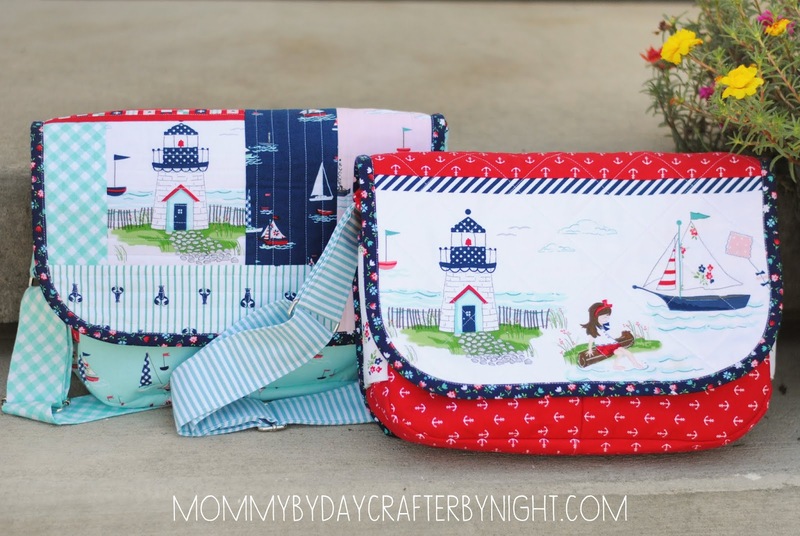 Her newest line, Seaside, is no different. It just tugs at my nautical loving heart! 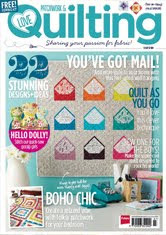 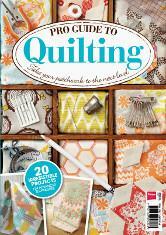 I've been anticipating this collection since I saw it debut at quilt market! So, when Riley Blake asked me if I wanted to play with the collection and make something, I jumped at the chance. If you've followed my blog for a while, you've probably noticed that I love to make bags.... and when I find a pattern that I like, I make it over and over again. 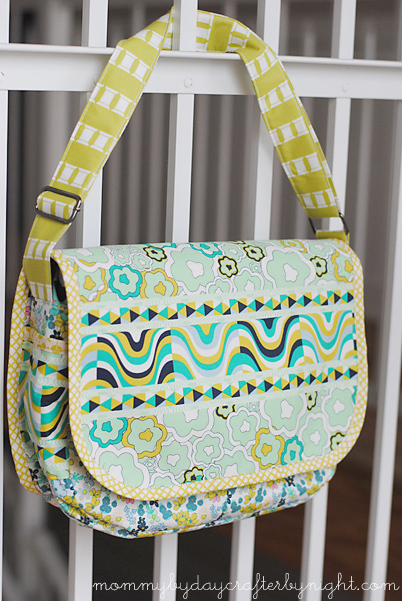 I've made the Oliver + S Messenger Bag over 10 times now. 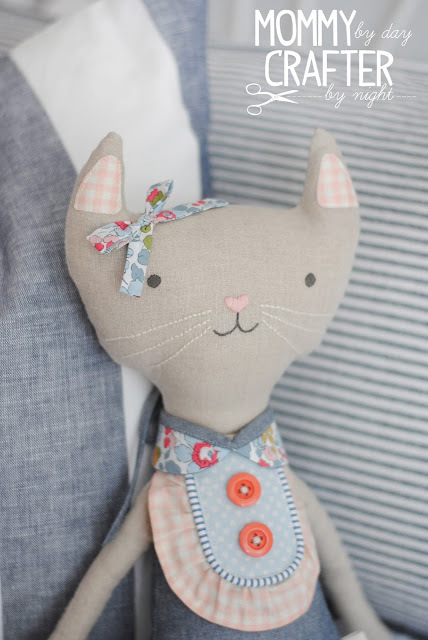 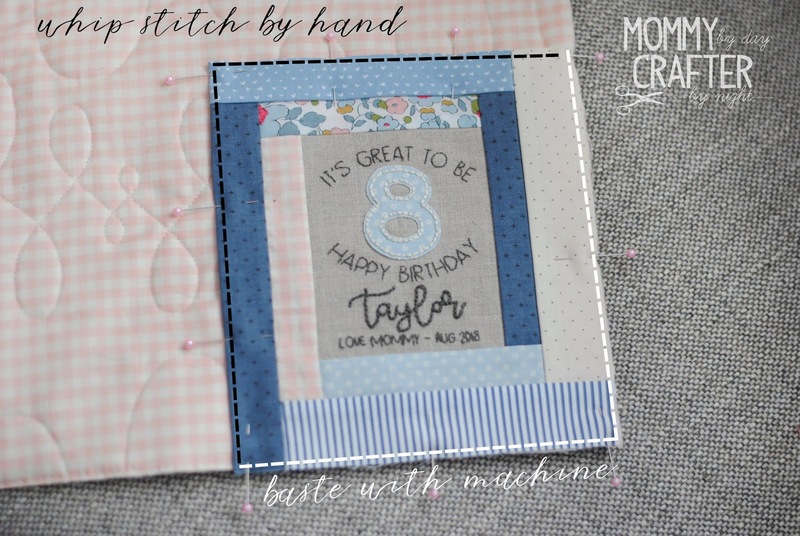 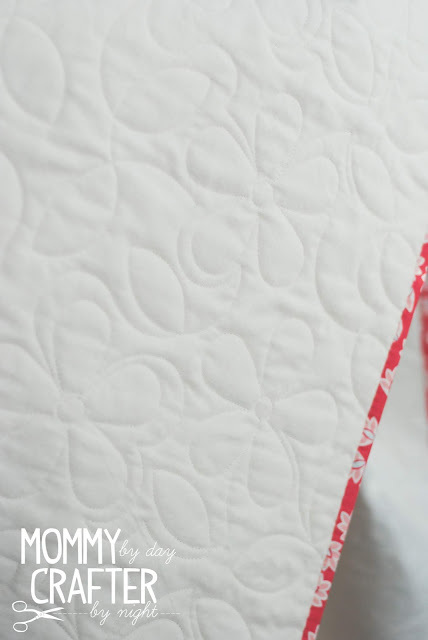 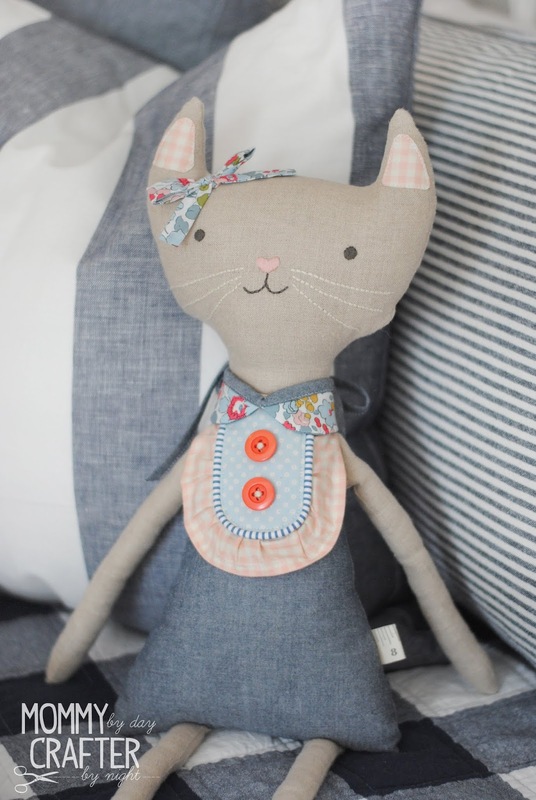 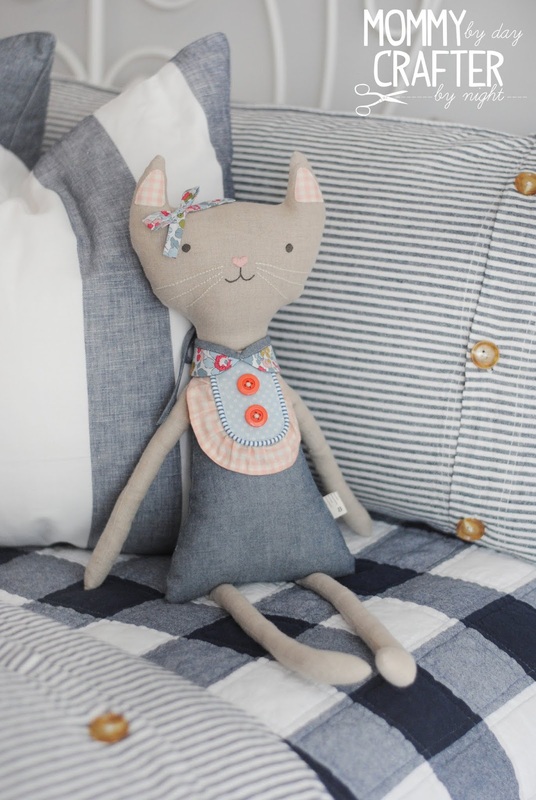 The pattern can be found in the Oliver + S Little Things to Sew book. 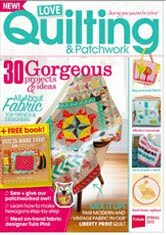 I definitely recommend the book- even if its just for this pattern alone- but I've also made the Little Red Riding Hood and Tutu, and the Explorer Vest from the book as well. 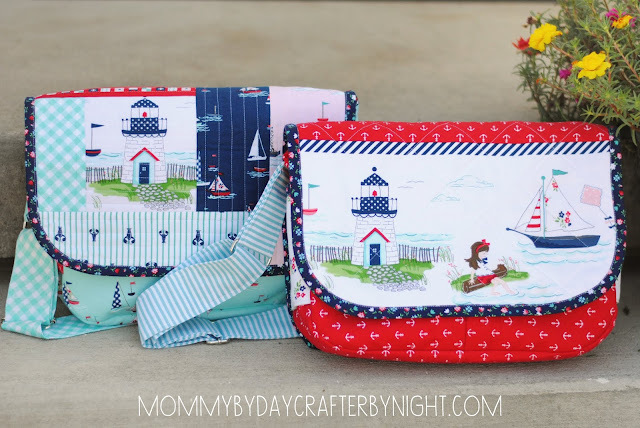 I have two girls, so of course I had to make two bags. In the past, I made the small version of the pattern (for when they were 3 & 4 years old), so this time I opted to make the large size. 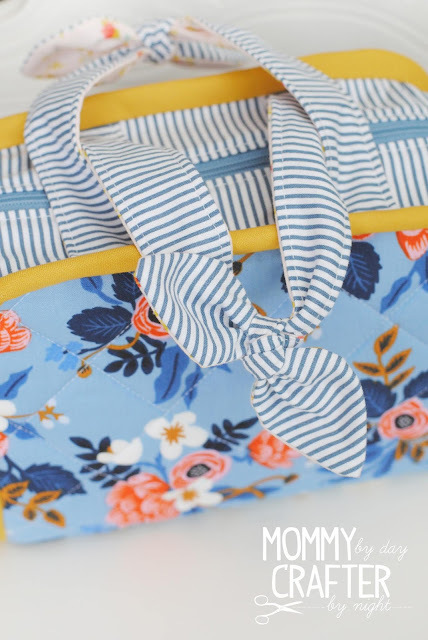 One of the things I love most about this pattern is the gusseted pockets on the front of the bag when you lift the main flap up. 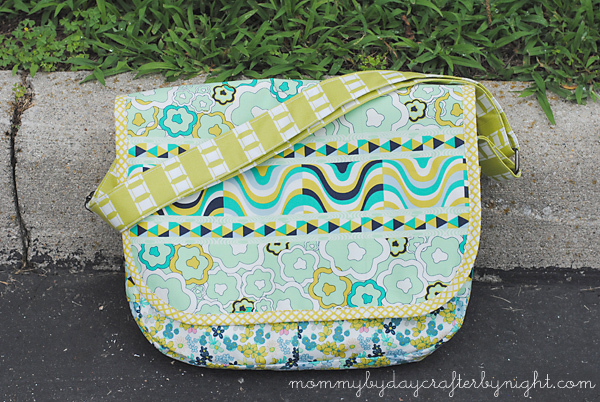 Another unique thing is that the bag is edged in bias tape, so its just as cute as can be and very well constructed. I used the Seaside Border print in Red for the exterior of the first bag. 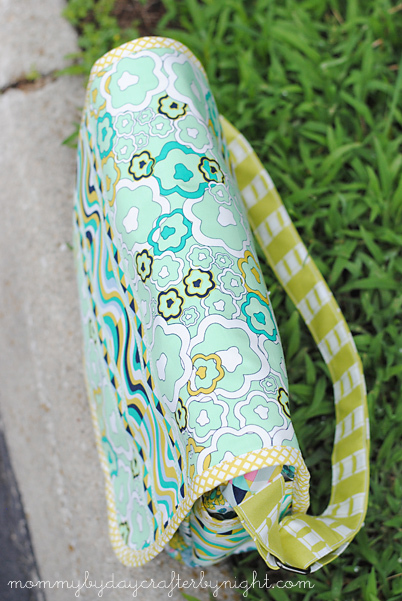 I love using panels for this pattern, because it really just gives the bag a custom look. 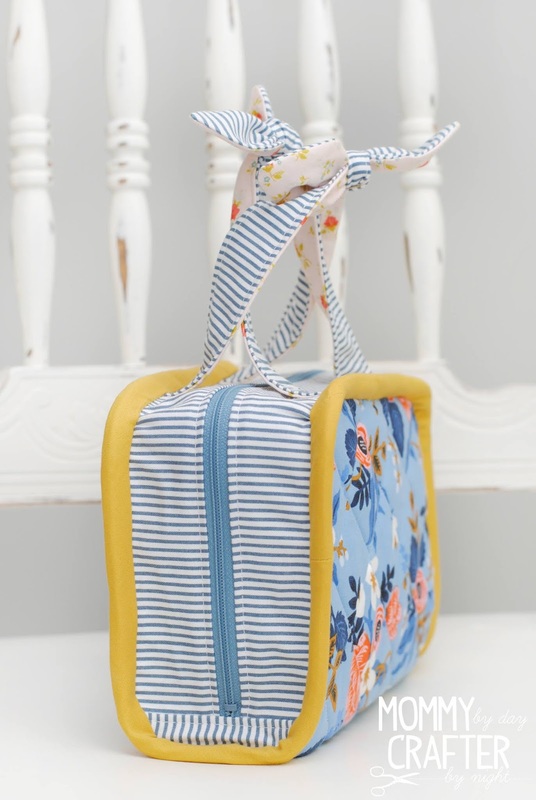 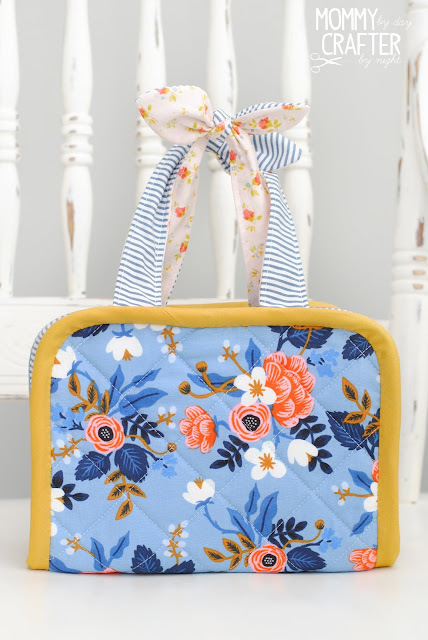 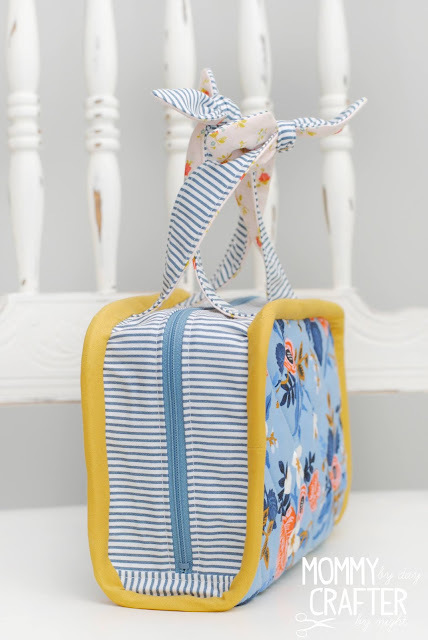 I had planned to use one of the coordinating prints from the collection for the bias tape that edges the bag, but I had some navy floral from Tasha's previous collection A Little Sweetness, and I just couldn't resist from using the dainty floral to compliment the Seaside fabrics. 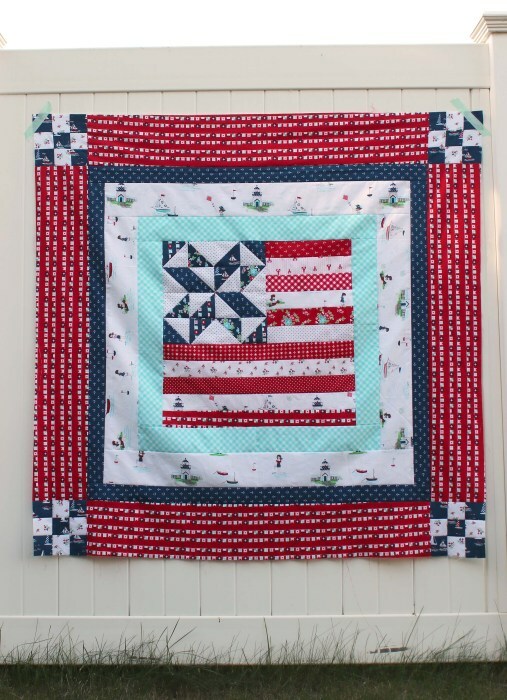 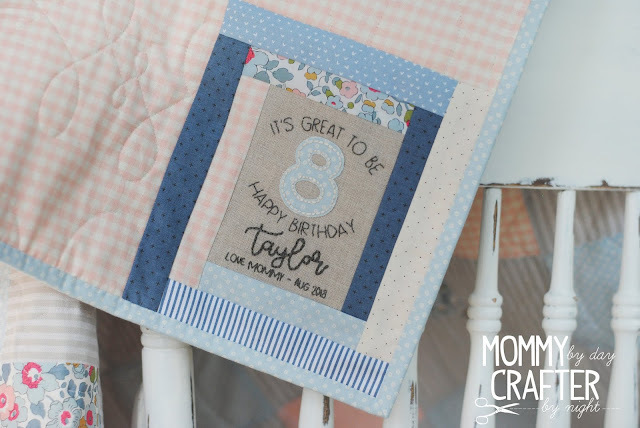 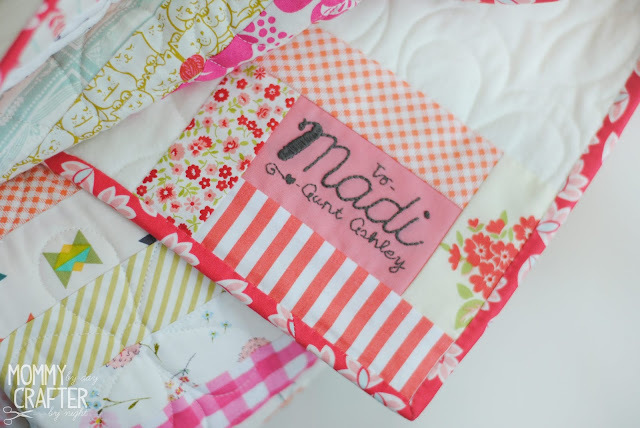 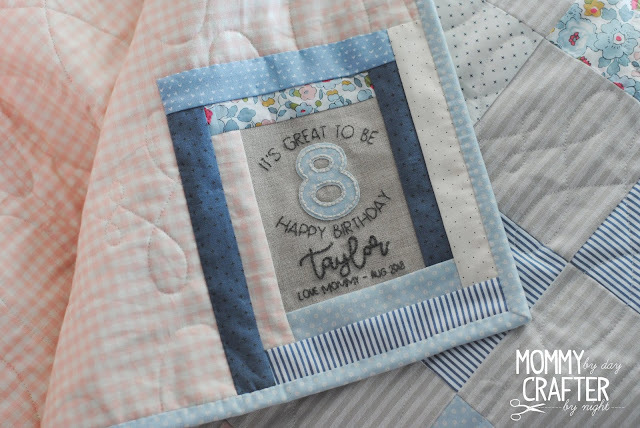 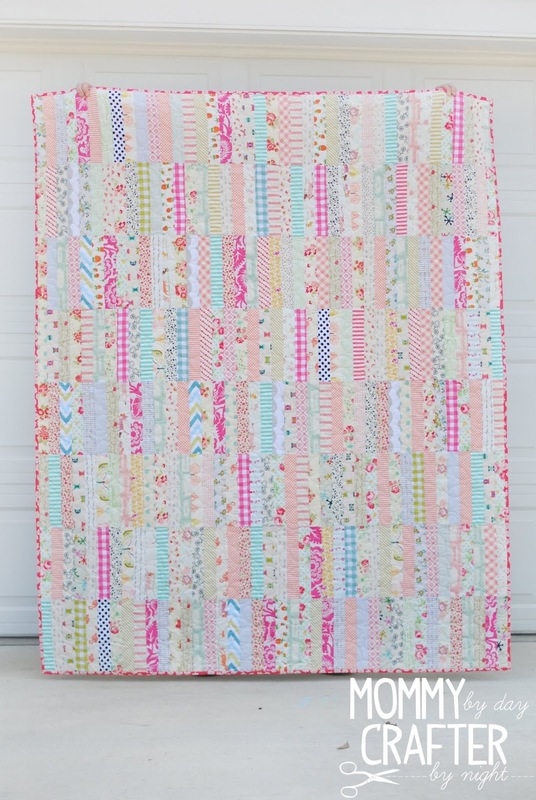 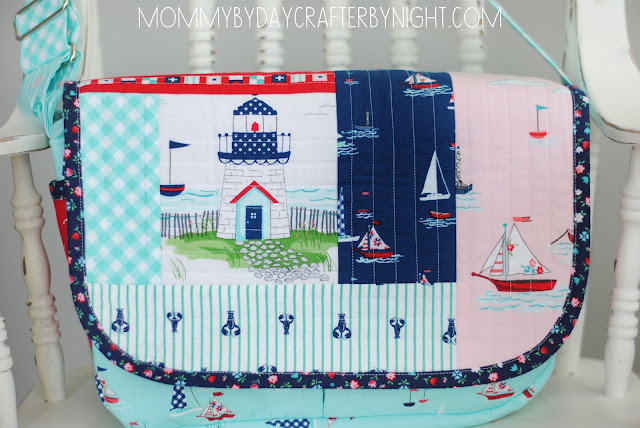 PS- Be sure to hop over to my friend Amy's blog (Diary of a Quilter) and check out the darling Seaside Star Spangled Banner Quilt that she made. 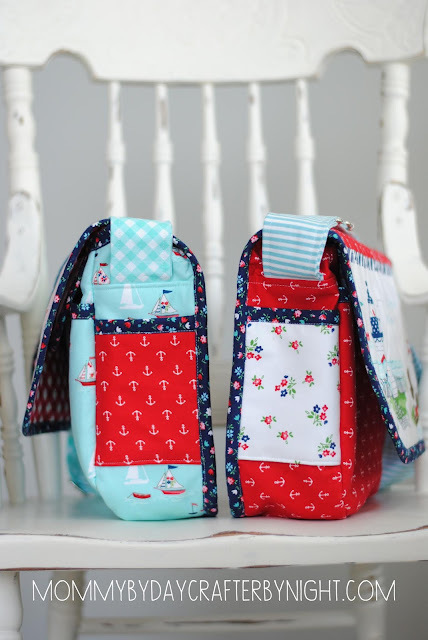 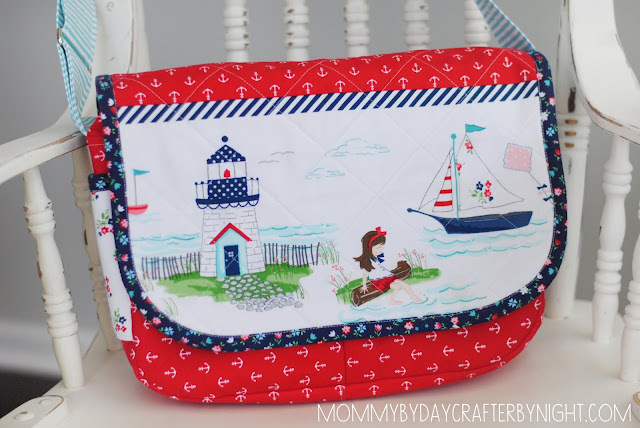 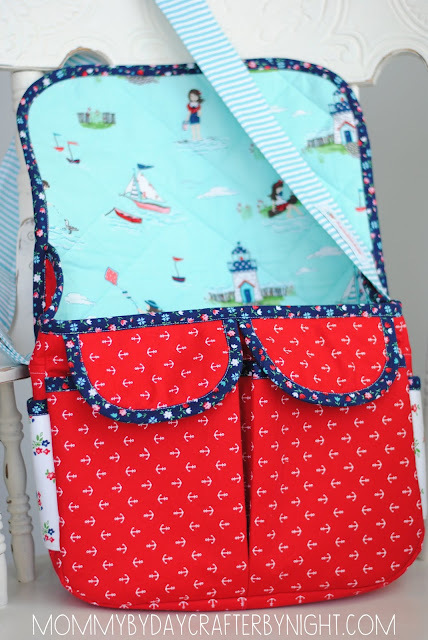 I am so in love with anything Amy makes, and this patriotic + nautical beauty is just the cutest!